Learn from an International Dance Champion! The Founder and Principal, Jamila, is a World Bellydance Star and dual-championship winner (Folkloric and Fusion category) from Istanbul. The Bellydance Extraordinaire troupe won the individual and troupe championships at the 2014, 2015 & 2016 World Belly Dance Festivals. Having trained in Egypt and Turkey, the birthplace of bellydancing, and with a combined dancing and teaching experience of more than 10 years - Bellydance Extraordinaire instructors bring a distinct and unmistakable level of bellydance authenticity and knowledge to their classes. The favored troupe for local and overseas performances! 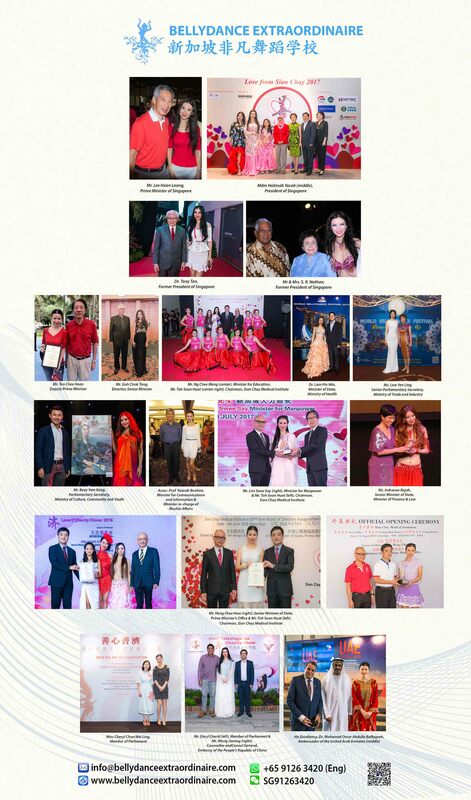 Bellydance Extraordinaire is the favored performing troupe for many important events involving VIPs such as Singapore's Founding Father, the late Mr. Lee Kuan Yew, President of Singapore Mdm. Halimah Yacob, former Presidents of Singapore Dr. Tony Tan, and the late Mr. S R Nathan, and many other Ministers and community leaders. Frequent appearances and interviews on the Air, Internet and in Print! Bellydance Extraordinaire is featured many times on the air, in live-streaming and in print. 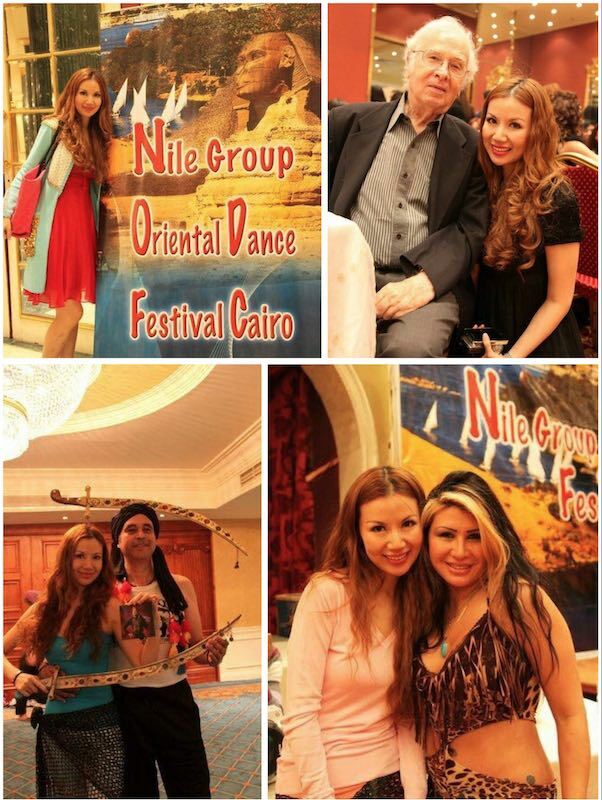 Jamila and her troupe were frequently invited to teach and exchange dance knowledge with many overseas countries. Television stations that worked with Bellydance Extraordinaire include Singapore's Channel 5 & 8, China's CCTV, Shanghai Dragon TV, Guangdong Radio and TV, and Vietnam's Ho Chih Min TV. CLICK HERE FOR DETAILS ON BELLYDANCE CLASSES! CLICK HERE FOR DETAILS ON K-POP CLASSES! Q: What are the benefits of Belly Dancing? Who should join Belly Dancing? A: Belly Dancing is very easy to learn from scratch without and prior dancing experience. It helps to tones your body, improves your flexibility, keeps you fit and boosts your self-confidence. It is suitable for all body shapes and is an ideal activity to help you loose weight and achieve your desired figure. Q: Are there classes for Children and/or Seniors? A: Yes, children as young as 5-years-old can join our class. There is no upper age limit. Belly dancing is suitable for all ages and helps to keep your body flexible and your muscles well-conditioned. It also improves your hand-eye coordination. Q: When Can I Join a class? Are there specific Starting Dates? A: Our Beginner Techniques classes are On-going and new students can join in any time. Q: How many students are there in a class? Are male students allowed? A: Our classes are Ladies-only. Class size is around 5-8 persons. Q: What to wear for Class? A: New students can wear any exercise attire they are most comfortable with. The attire should be figure-hugging so that the instructor can see and correct your posture. No shoes are necessary but you can wear socks to keep your feet warm. Q: Is there a changing area, restrooms and/or shower facilities? A: Our studio has a changing area that students may use. The restrooms are located outside our studio, down the corridor. There are no shower facilities. Q: Do you provide drinks? A: Students may use our cold/hot water dispenser freely. Q: How Do I Sign-up or Register for a Class? A: Walk-in's are strongly discouraged. Please register before coming down a class by sending a WhatsApp to +65 9126 3420 with your Name and Date/Time you wish to attend. A confirmation reply will be sent back to you. Q: How Do I Make Payment for Class? A: We accept payment by cash, NETS or Internet Banking to our account. Credit card payment is NOT accepted.